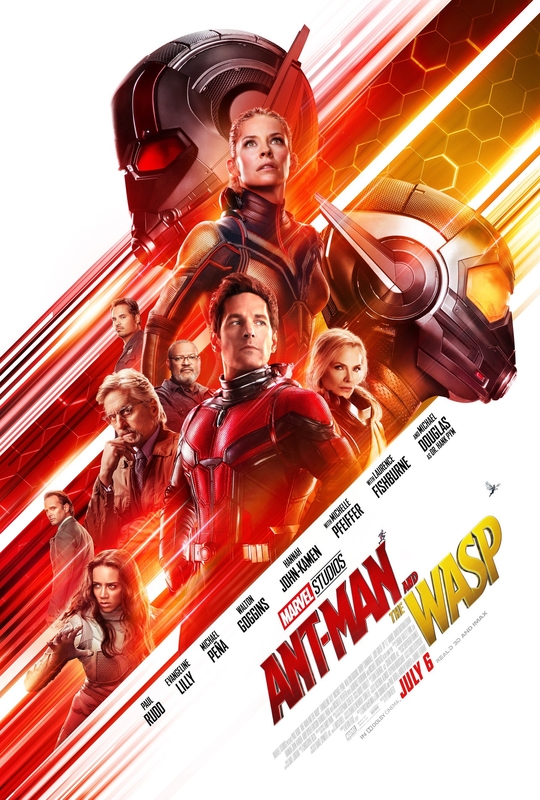 Friday night date night with my wife, Ant-Man and the Wasp, and takeout sushi | Tales From The Ipe! My wife and I went out Friday night after work to see Ant-Man and the Wasp, Marvel’s latest MCU film. We originally planned to watch it with the kids, but they were repeatedly difficult this week, and took away movie night as punishment. Why do kids have to ruin things? We turned lemons into lemonade, and made it a date night instead. The first thing we did romantically was go to Lowe’s to check out kitchen backsplash options. Let a playa play, homey. We caught the 7:15 PM show (thank goodness for the era of reserved seats) with enough time to grab a snack and drinks. The film takes place about 3 years after Captain America: Civil War. Scott Lang has been on house arrest within his San Francisco home since violating the Sokovia Accords. Hank Pym and his Hope Van Dyne have been in hiding as they are wanted as accessories to Scott’s crimes. The local San Francisco FBI, led by Special Agent Jimmy Woo (played by Randall Park), which was more for comedy. Ghost (played by Hannah John-Kamen), a villain who can phase in and out of solid form. The rest of the first film’s supporting cast returns, and they’re all good. The film is decent overall, with lots of funny jokes. If you’re an MCU, go see it. It won’t change your life, but it’s decent entertainment. Oh, afterwards, we grabbed some takeout sushi from a local Japanese restaurant before they closed for the night. That’s how we roll. I won’t make the obvious sushi roll joke. This entry was posted in Entertainment and tagged ant-man, marvel, marvel cinematic universe, mcu, movies, paul rudd. Bookmark the permalink.